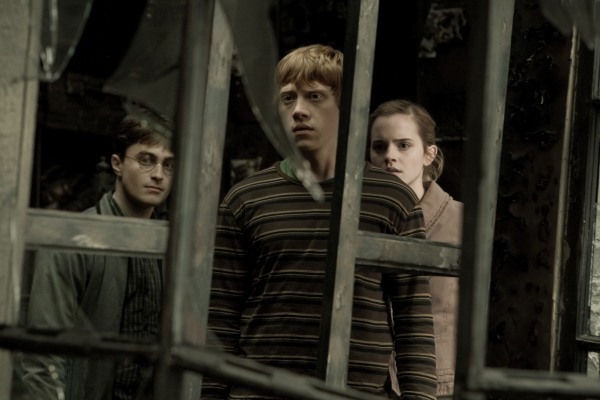 Harry Potter and the Half-Blood Prince features troubled teens and home-front horrors! old colleague-professor Horace Slughorn instructing Harry that the social-climbing, egotistical prof holds the key to the destruction of Voldemort and it’s up to Harry to get the info out of him. on a box of Romilda Vane’s love-spelled chocolates, it’s up to Harry to help break the spell. can only end in tragedy. Snape flitters on the edges of all the drama only to finally show his true colors. Nothing will ever be the same. any of its Harry film predecessors. movie. Watching Felton take Draco from a cocky, self-assured mini-Dark Lord proud of his evil assignment to a reluctant, shattered failure, is truly mesmerizing. is almost pulled to his death by a horde of creepy, ultra-skinny skeletal creatures. 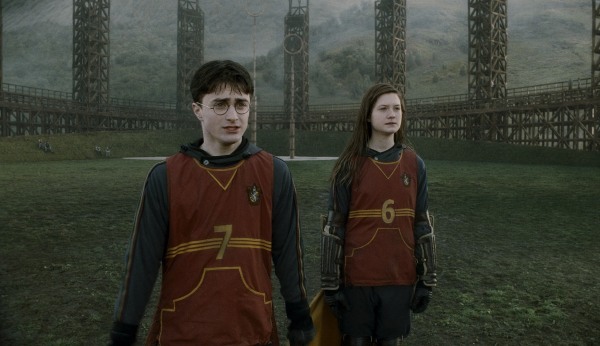 vow to bring Voldemort down…together. the ride as the Hogwart Express starts steaming at full speed toward the end of the line.